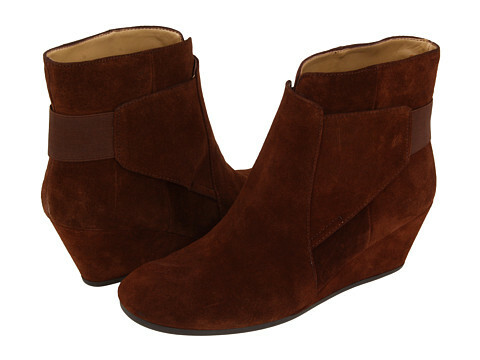 I love the idea of wedge booties! They have the sophistication of booties but with the comfort of wedges. I fell in love with a pair I saw at Forever21 in Las Vegas and was very disappointed when I found out they did not have my size in stock. Well, every day since I’ve been back from my trip I’d check the Forever21 site to see if my shoes will ever become available. I guess my persistence paid off because they are!!! I got so excited I ordered both the grey and the black and at around $25 a pair, how could I not? Here are pics of the booties and also some others that are worth taking a look at. I am now eagerly waiting the arrival of these booties and making a list of all the cute outfits I’ll wear them with!